This isn’t an article that will bash CrossFit, strength and conditioning or the constant exploration of the boundaries of human potential by ordinary people. 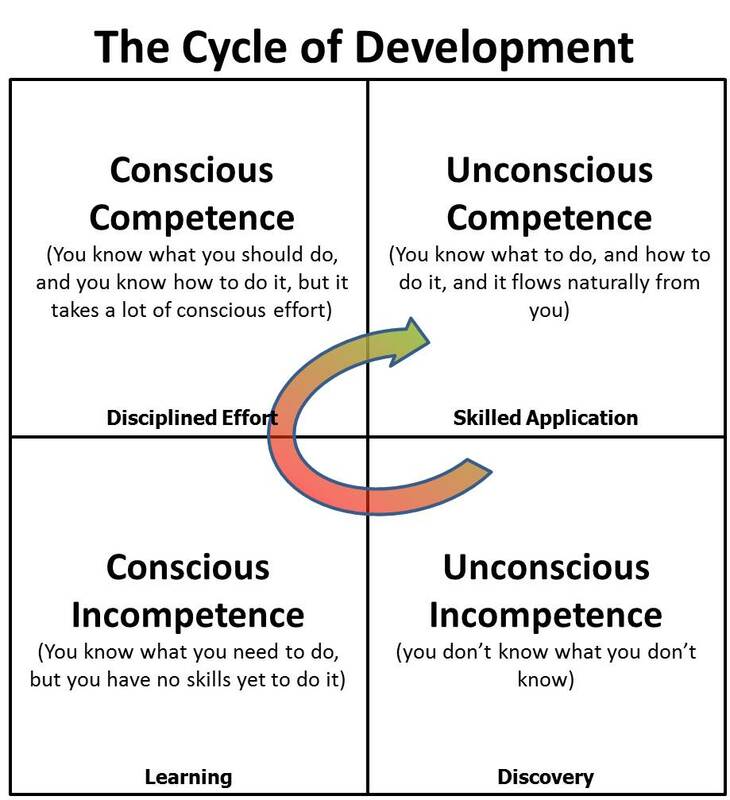 This is an article exploring the ideas surrounding awareness and competence. Feel free to relate it to your own fitness journey. Feel free to relate it to your chosen profession, whether that’s CrossFit coaching or being a doctor. Everyone everywhere has a level of awareness about any given topic. Everyone everywhere has a level of competence within any given task. Let’s use times tables within maths as an example. Before you go to school and start to learn you have no awareness of what maths is and consequently you can’t do any maths, therefore you can be viewed as unconsciously incompetent. You discover numbers. As you develop and start to do some maths lessons you become aware of maths but you aren’t yet competent and make mistakes so move towards the consciously incompetent area of the graph. You begin the process of learning how the numbers work together. More deliberate practice and focus helps move you towards conscious competence, where you still have to concentrate on the questions but are getting the answers right more often than not. Disciplined effort is required. Time spent grooving these patterns start to make things much more automatic so that problems that would’ve once upon a time baffled you are solved without conscious thought – the zone of unconscious competence. You skillfully apply your skills within maths. Watch any great sports person at work – they appear to make decisions without thinking and invariably make the right choice. The old doctor who has seen virtually every medical condition under the sun can quickly diagnose without having to look up symptoms and treatments. Musicians who can pick up instruments and within a couple of minutes learn a new song probably can’t explain how they do it, but they do. What are the take home messages from this article? When you are new to something in the gym accept that it will take time to become skilled at it. Not being able to do something may just mean you’ve never seen it before. When you know someone is newer at something you should give them time to practice and focus so that they can move along in their progressions. They’ll thank you in the long run. Every new task and environment presents an opportunity for you to be unconsciously incompetent and start to move forwards with your progression towards mastery. Seek to be incompetent, get out of your comfort zone and develop yourself. Consider how the concepts discussed in this previous article might apply as you try and make progress.